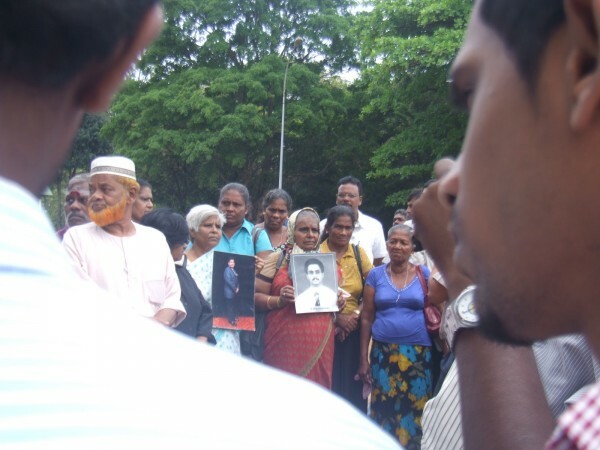 The Families of the Disappeared had organized a protest in Colombo on the 06th of March. The large convoy of family members of the disappeared who travelled from the North were stopped by the military in Vavuniya, and were not allowed to proceed to Colombo to take part in the scheduled protest, public meeting and submission of a petition to the United Nations office in Colombo. 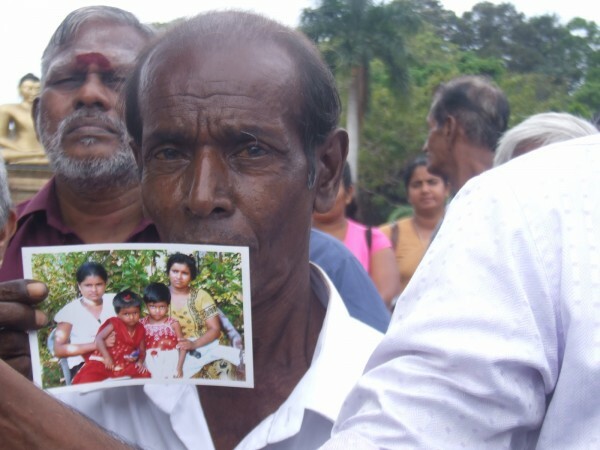 There were nearly 750 Tamil family members of the disappeared travelling in 11 buses, all of which were stopped in Vavuniya last night. “They were told it’s not safe for them to travel further. If they continue to do so, there are people who will be pelting stones at them. 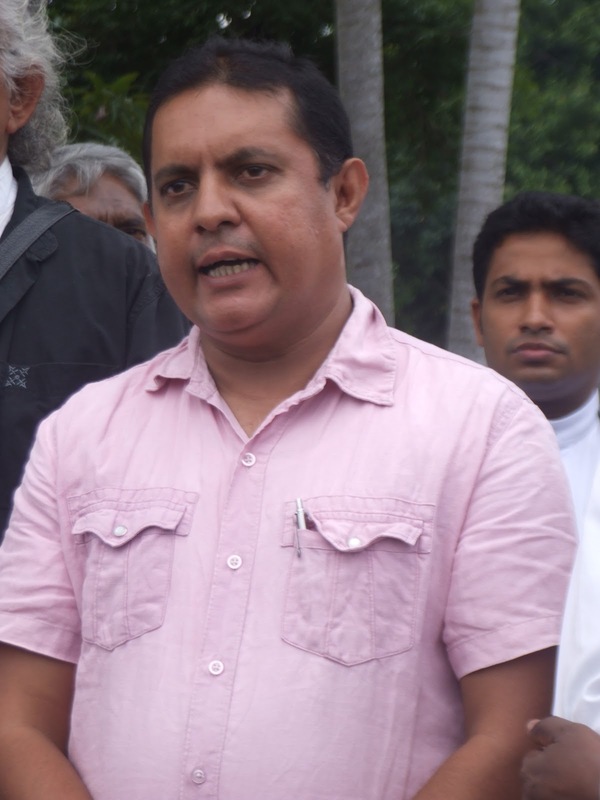 And, the military will not be able to do anything” Britto Fernando the President of the ‘Families of the Disappeared’ and the co-convener of the ‘Platform for Freedom’ said. As planned, activists, Catholic priests, politicians, a few mothers and a father gathered in front of the Viharamahadevi Park in Colombo. 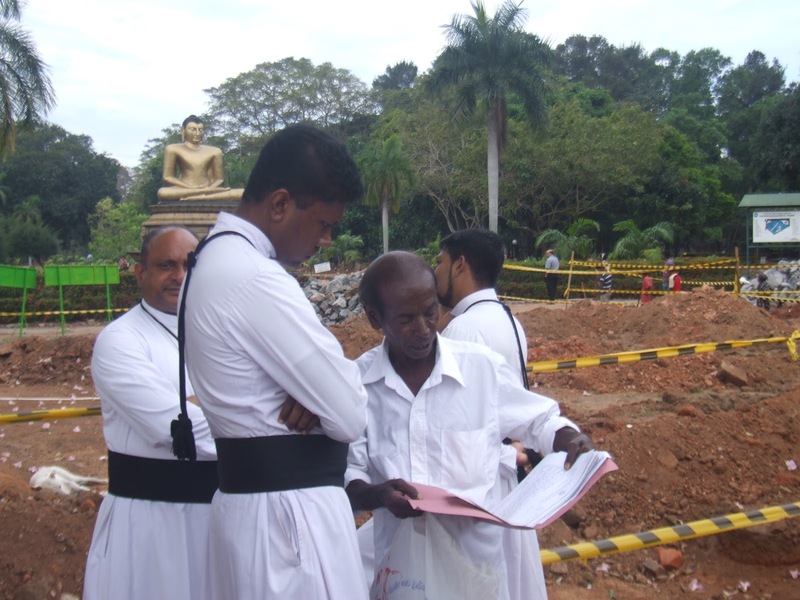 The organisers had initially planned to have a Satyagraha in front of the Park, then march to the Public Library for a public meeting, and then proceed to the United Nations office in Colombo to hand over their petition. 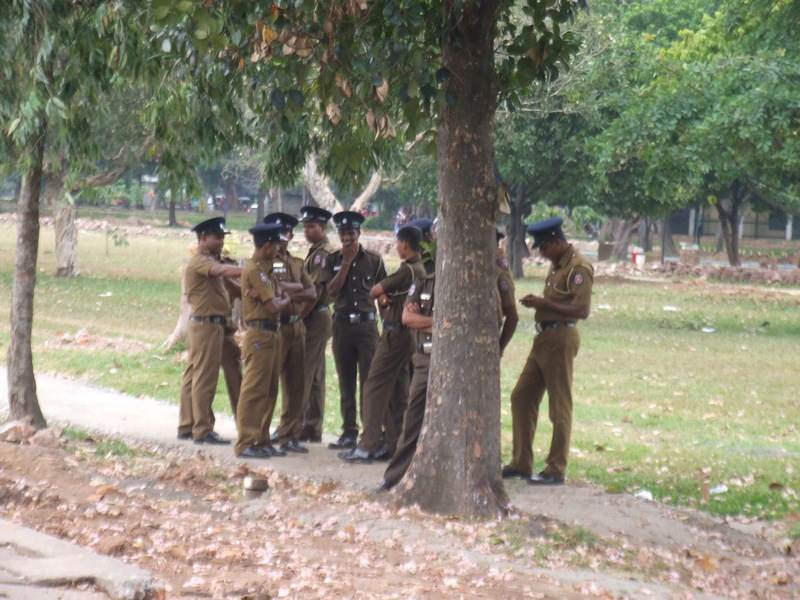 But, after the people were stopped in Vavuniya, a brief event was held in front of the Viharamahadevi Park in Colombo. “The Lessons Learnt and Reconciliation Commission states “Ensure people ,community leaders and religious leaders have the freedom to organize peaceful events and meetings without restrictions“. But, Tamil people were blocked in Vavuniya, and were not allowed to travel further. This is not true reconciliation” ~ observed Fr. M. Sathivel,who participated. Despite untold hardships, Tamil mothers continue their endless journey in search of their loved ones. One such mother is a tearful Ashadevi Shanmugalingam. She pleaded to the priests and politicians gathered there to find her son alive. “I want my son. Please help me to find him alive. My son is innocent, and I am helpless” lamented Ashadevi Shanmugalingam, while holding her son’s black and white portrait close to her heart. Her tearful plea, emotionally led the clergymen and politician to embrace her, and wipe her tears. 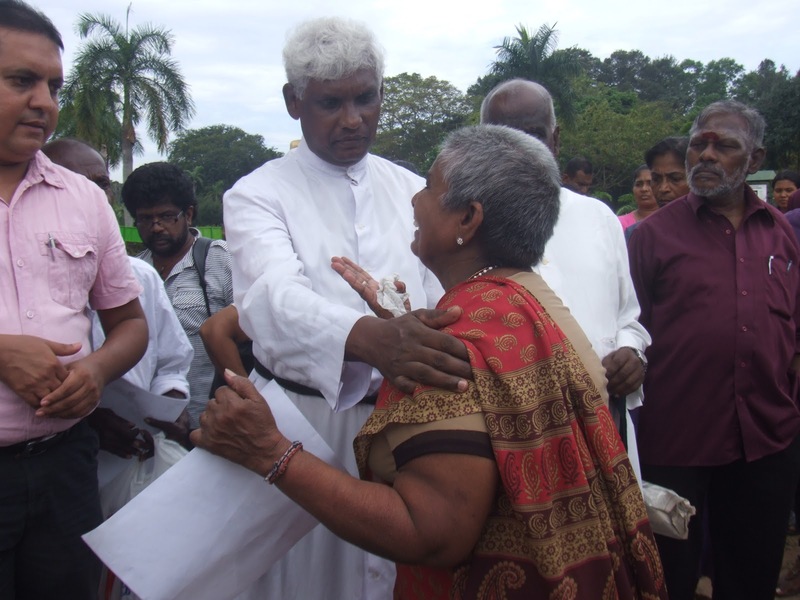 “Rights of the Tamil people are not yet respected by the Government of Sri Lanka. Thousands of innocent civilians were brutally killed during the war, many have been made to disappear and numerous Tamil men and women are detained without trial. 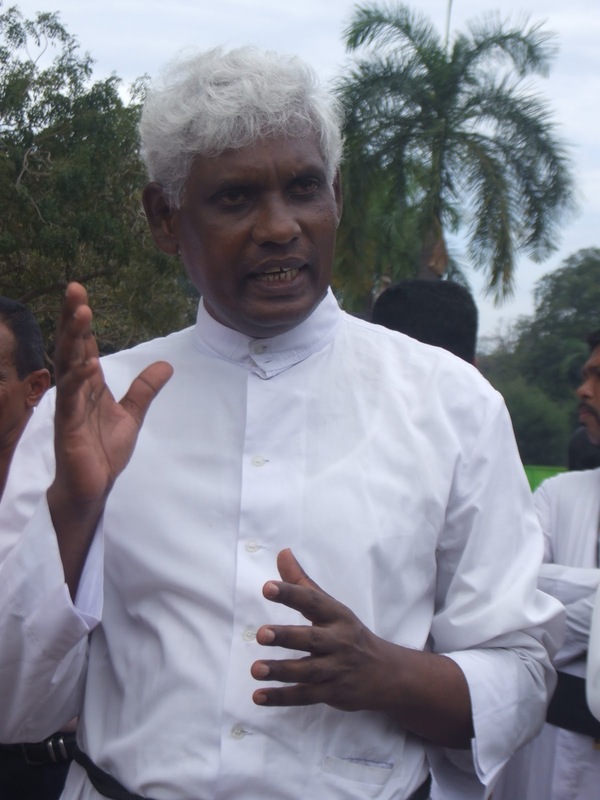 Tamil people’s rights are being violated continuously in post war Sri Lanka,” said Mano Ganesan, leader of the Democratic People’s Front. 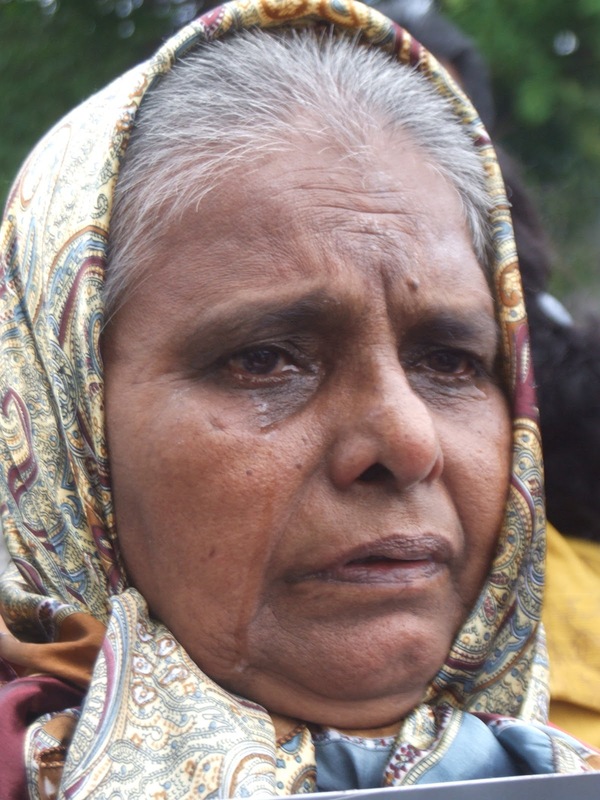 A Tamil mother of a missing son had traveled from Jaffna throughout the night in order to be at the scheduled protest in Colombo today. She had dropped off her luggage at a lodge in Pettah, and quickly came to the venue. “We came on a bicycle to Jaffna town on the 26th of April 2008, at 4pm. My son went to a nearby shop. 8 men in military uniform with beards and on field motorbikes took my son away. 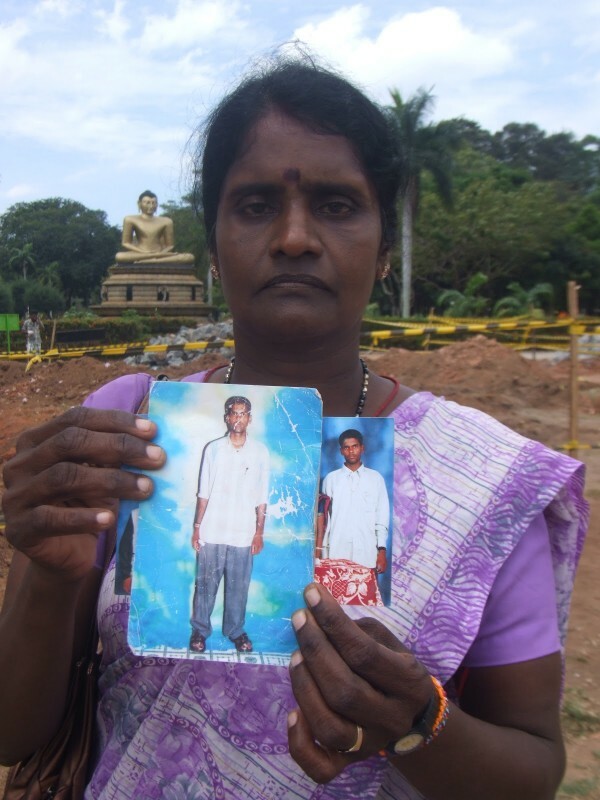 I have complained to the authorities, but nothing has brought my son home,” said Perinparani Thirunavukkarasu from Jaffna. 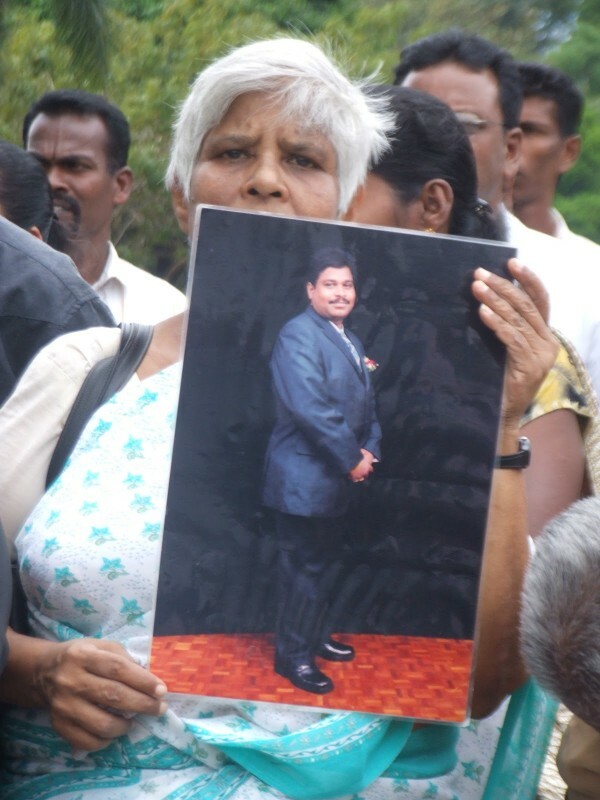 The organizers expected hundreds of family members to gather in Colombo to protest against disappearances, and raise their voices for accountability and justice. However the protest couldn’t take place as expected due to the failure to adhere to Recommendation 9.118 which states “Ensure people, community leaders and religious leaders have the freedom to organize peaceful events and meetings without restrictions”. 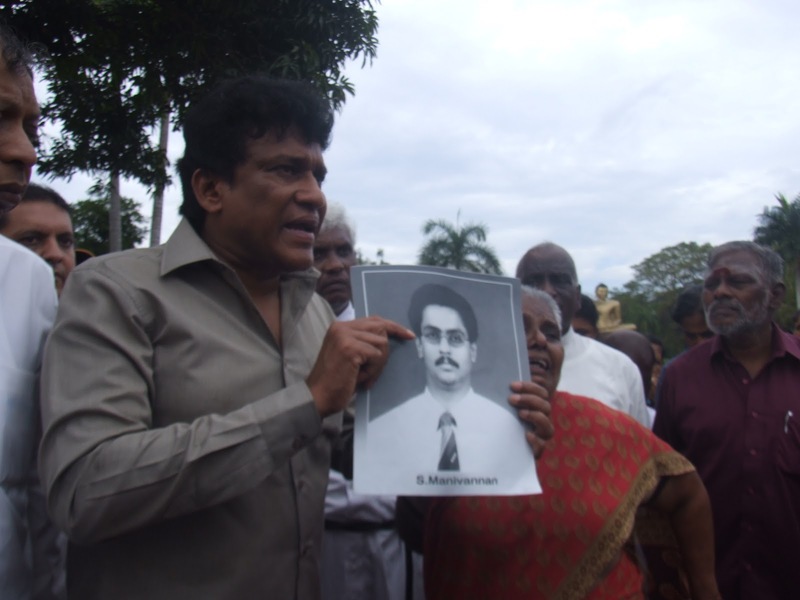 “My son was abducted by 8 men in military uniform on field motor bikes on 28th April 2008 at 4pm near the Jaffna Kachcheri. I was told that he was transferred from Urelu (in Jaffna Peninsula) to Boosa detention camp. I went to Boosa detention camp for 4 or 5 times, but I haven”t seen him yet. He was working as a day labourer, and was not involved in any violent activities” ~ says the eyewitness Perinparani Thirunavukkarasu from Jaffna. 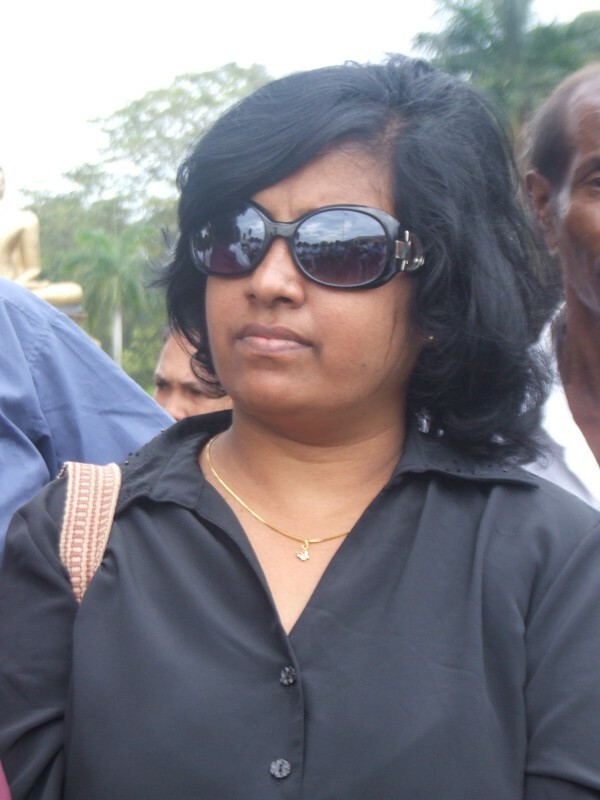 She also says that she travelled overnight from Jaffna to Colombo by train and bus (from Jaffna to Vavuniya by bus, and by train from Vavuniya to Colombo) to participate in the protest in Colombo.